Online Testing Training Batches Starts on 21 st December 2015 by Testing Legend Mr. Suresh Reddy Sir Who has trained more than 85,000 professionals all over the world. Note: Seats are filling fast, Please register the seat immediately and book now. Registration are open, please free to call us on 9247111625/9490320604. Education means gaining some knowledge and using it in the right situations of life to make it better. Getting job is important, but doing job comfortably is more important, so learn anything in such a way that it will be useful for you in your life practically during implementation. 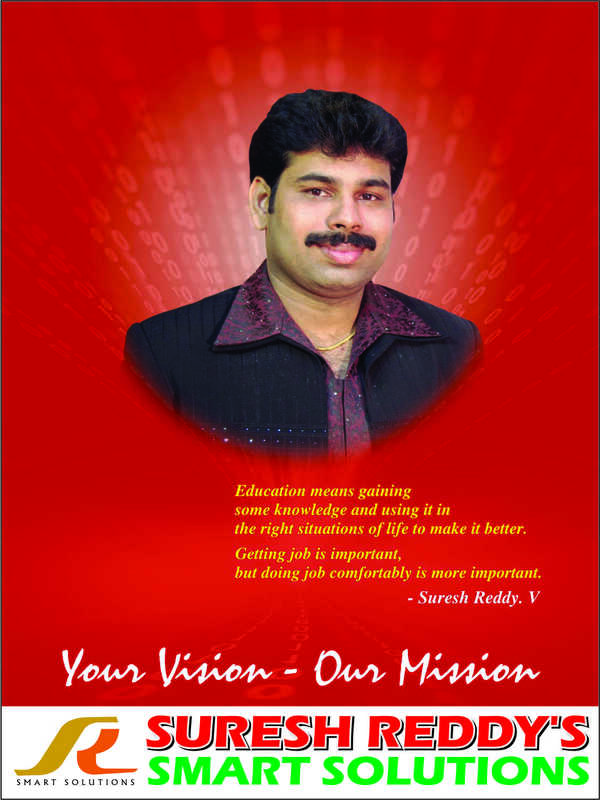 Suresh Reddy’s SMART SOLUTIONS specializing in career training in the area of Software Quality Assurance. Suresh Reddy’s name is a well-known and widely recognized brand in the Software Testing world. Mr. Suresh Reddy has around 16 years’ experience on Software Testing, so far he has trained 85,000+ candidates in this area and he is very famous in the area of Test Automation, particularly in QTP & Selenium. 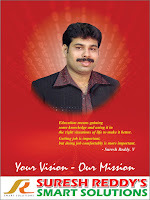 Suresh Reddy's Smart Solutions. Simple theme. Theme images by Deejpilot. Powered by Blogger.